In this post, i will be showing you simple and easy steps on How To Check Your Phone’s 4G LTE Network Band Via MTK Engineering Mode. Have you ever wondered how you can check the status of your smartphone's 4G LTE band to ensure it will be compatible with the different bands of 4G LTE network in Nigeria. 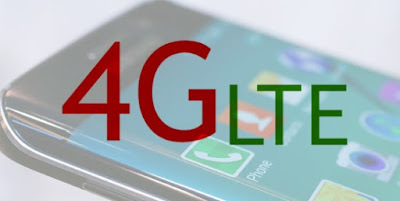 4G LTE Network bands in Nigeria varies according to the internet Service Provider (ISP), a 4G LTE smartphone is needed in order to enjoy the recent 4G LTE network. In other to enjoy this 4G LTE network in Nigeria, you must ensure your smartphone is compatible with the different bands of 4G LTE network in Nigeria. There is always a way out of Everything, and the MTK Engineering Mode will sure come to our rescue. MTK Engineering is an app designed for MTK Android device, it basically works on any Mediatek phone and doesn’t require internet connection. MTK Engineering among IMEI tweakers, it’s basically used to modify, change, adjust, tweak, write, or rewrite IMEI on MTK Android smartphones, it’s also used to increase the volume of your MTK phone’s speaker to make it louder and perform some other advanced settings. After successful download and installation, launch the MTK Engineering application. If you’re unable to tick the band 28 checkbox, it means your phone doesn’t support Glo 4G LTE service. If you’re unable to tick band 3 checkbox, it means your phone doesn’t support Etisalat 4G LTE service. If you’re unable to tick band 20 or 7 checkbox, it means your phone doesn’t support 4G LTE service. If you’re unable to tick band 8 or band 3, it means your phone doesn’t support NTel 4G LTE service. Before you start checking what is not there, make sure you’ve checked out this list of phones that support 4G LTE bands in Nigeria [All network], also, you can see the best 4G LTE data plans across all networks and make sure you check the status of 4G within your locality before getting started. See regions with MTN 4G LTE network in Nigeria. See regions with Ntel 4G LTE network in Nigeria. See regions with Glo 4G LTE network in Nigeria. See regions with Etisalat (9Mobile) 4G LTE network in Nigeria. See regions with SMILE 4G LTE network in Nigeria.